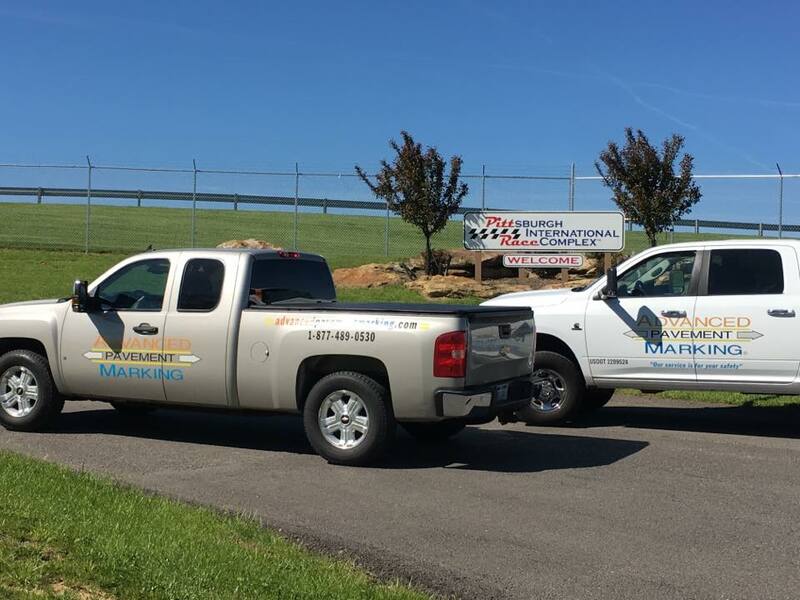 Servicing all types of race courses throughout the USA and Canada we are the race track painting contractors your facility deserves. 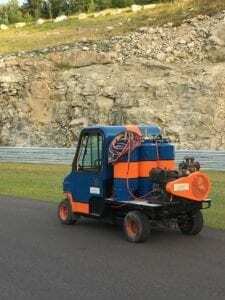 We service: Road courses, Velodromes, Karting tracks, Ovals, Rovals and city street based courses. 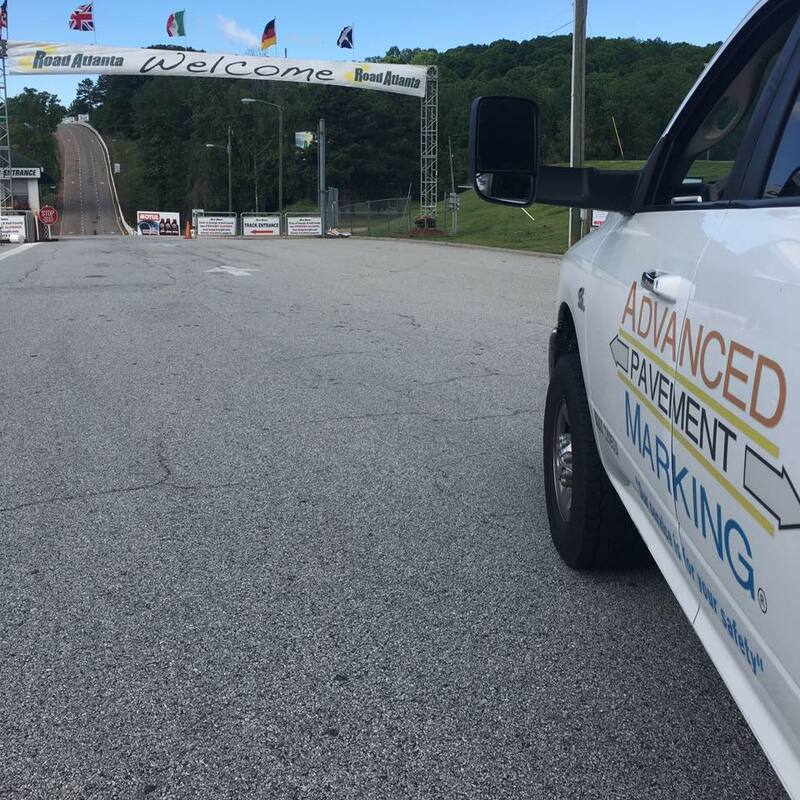 FIA, FIM and NASCAR approved materials, let us put your racecourse in the lead! 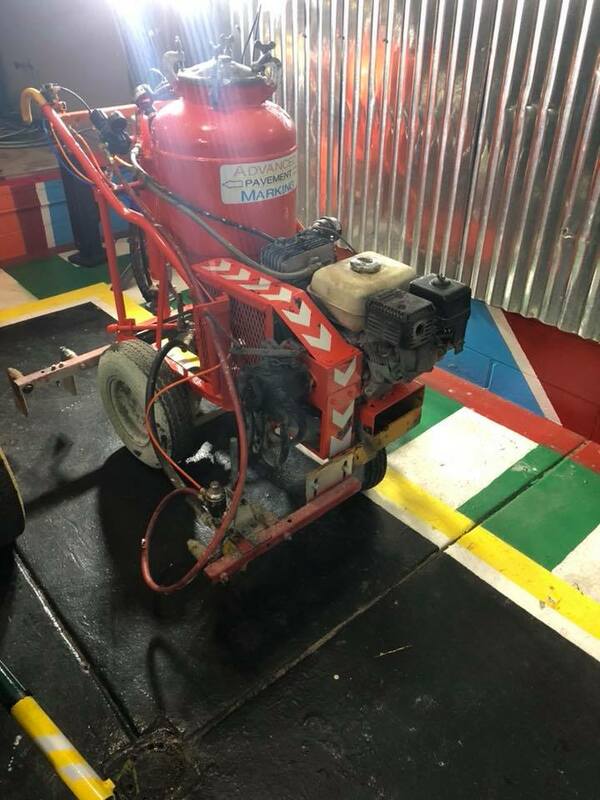 Do not compromise your facilities safety by installing wrong materials onto your race course or overwhelm and stress your maintenance staff by attempting to paint all of your tracks pavement markings. 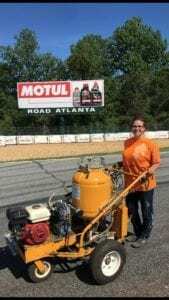 We are the most experienced and best equipped racetrack painting contractors in the USA & Canada! 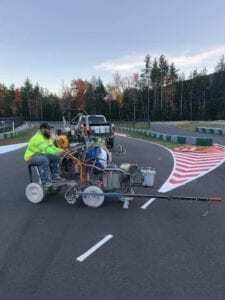 Our skilled crews knows what it takes to professionally service and install all types of markings found on race courses. We do our best to minimize or even eliminate the need for track closure during our painting services. 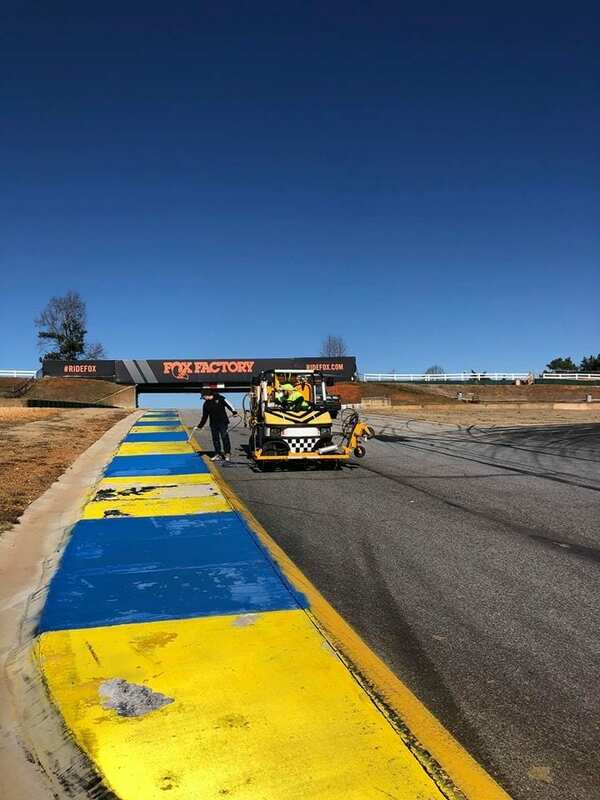 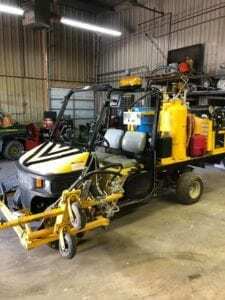 This means your facility can stay open and maintain revenue, while also having your track markings professionally serviced. 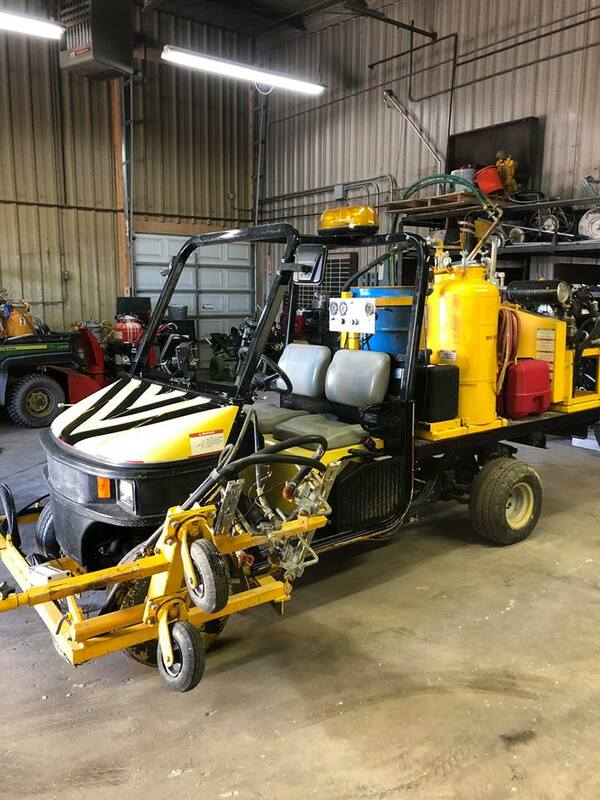 What likely takes weeks or month’s for your inhouse staff to service and paint, likely takes a few days or a week for our specialized crews to perform! 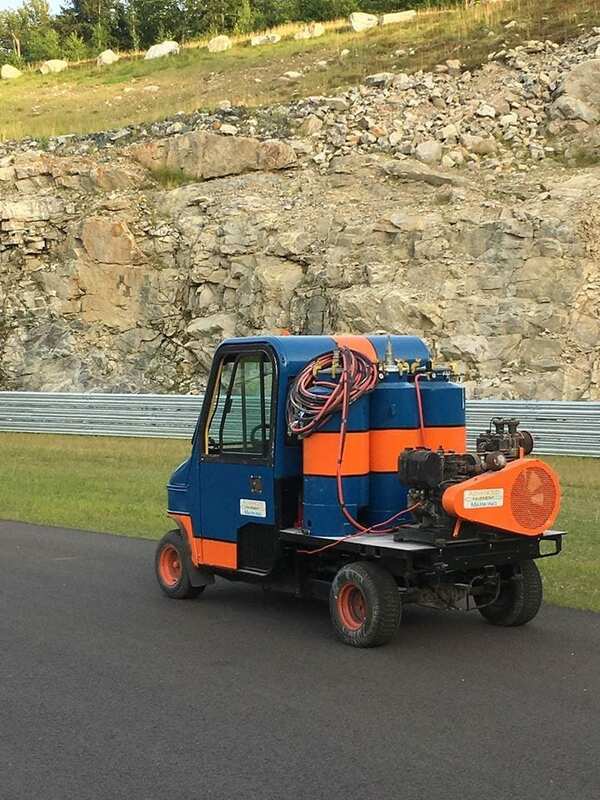 Materials, application technique and even type of equipment matters, when it comes to having durable and professional racetrack markings! Advanced Pavement Marking® is the authorized applicator for DREW PAINTS (North America’s ONLY paint manufacture of FIA & FIM approved 09NS “Circuit Paint” and NASCAR approved Temp – Line). 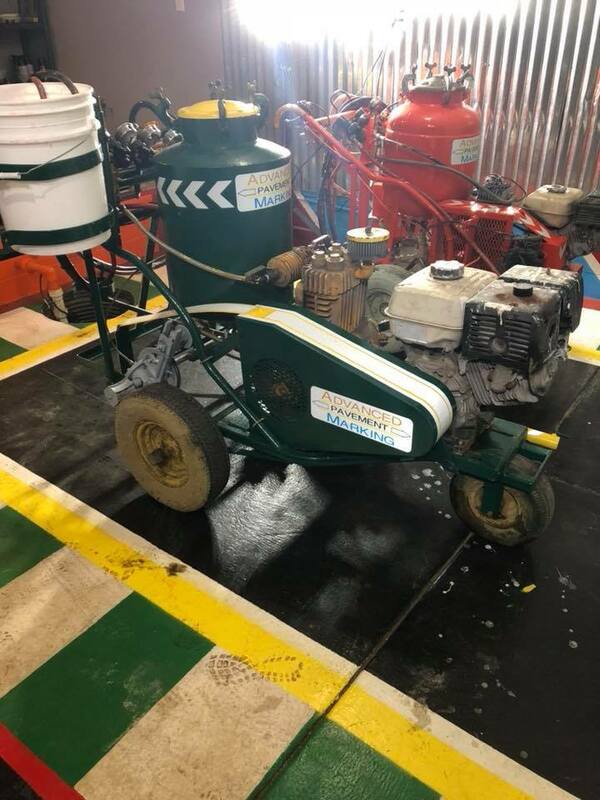 We have direct manufacture support not only with our paint supplier(s) but also tight relationship with our equipment suppliers that puts our capabilities far ahead of our competition! 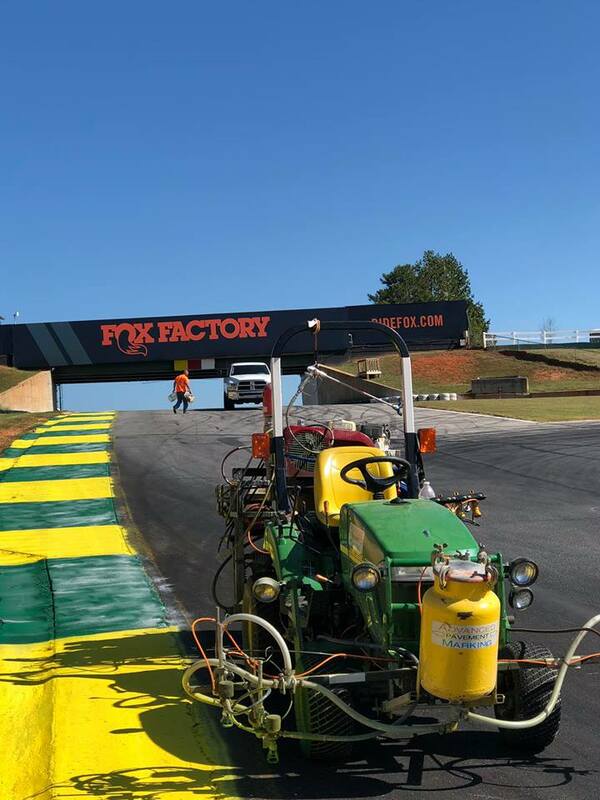 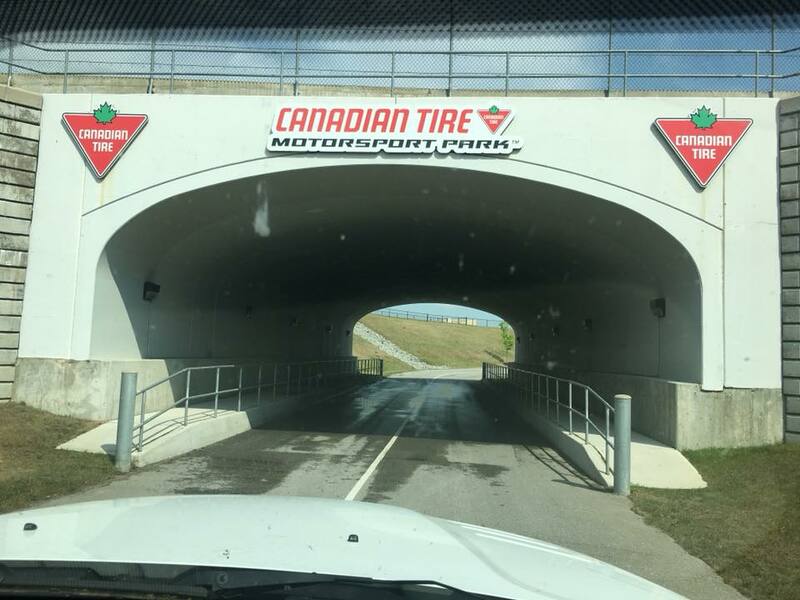 When it comes to selecting professional race track painting contractors: EXPERIENCE, EQUIPMENT & MATERIALS must be put at the top of the screening criteria over who has the CHEAPEST PRICE! 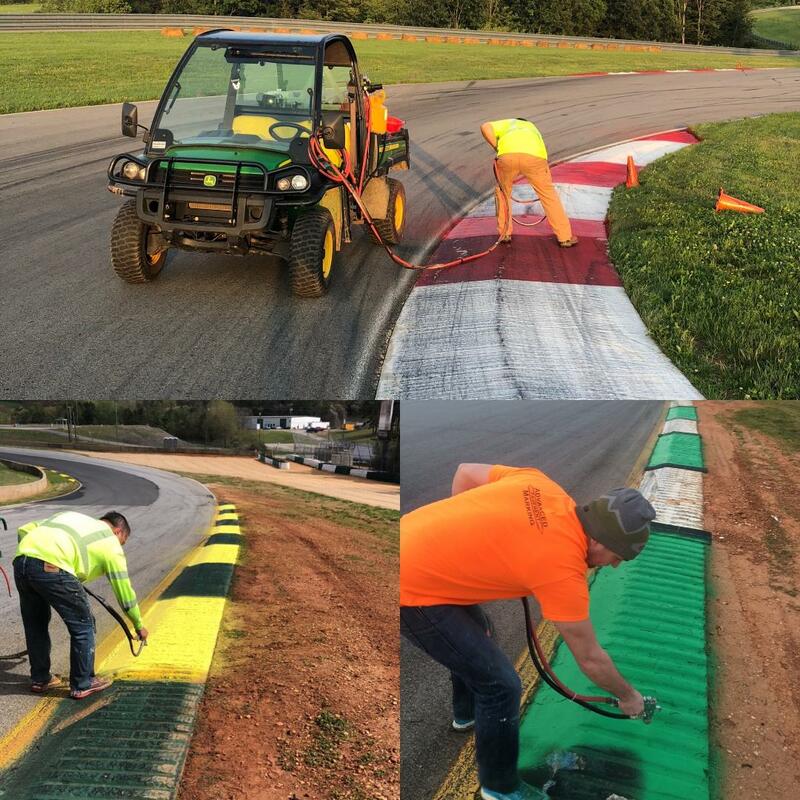 We do not compromise our quality, service or commitment to installing safety, neither should you when seeking a race track contractor! Fact is there is very few USA or Canada based pavement marking companies who have the experience, equipment or access to the proper materials required to professionally service racecourse markings, or have the capabilities of being rapidly dispatched to almost anywhere in the USA or Canada. 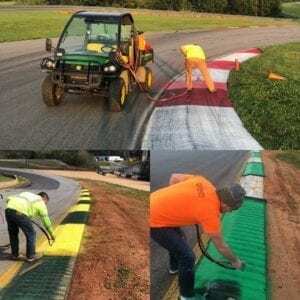 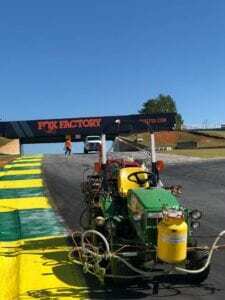 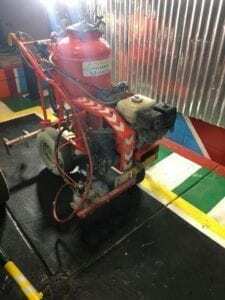 We are the race track painting contractors servicing projects for: IMSA, NASCAR, MOTOAMERICA, PORSCHE, FERRARI, BMW, LAMBORGHINI, MCLAREN, VELO RACING, KARTING series, even private courses and events all over the USA & CANADA. 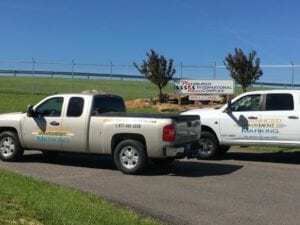 Start with a professional, and have the results that are not only superior in appearance but also has the durability and quality you can be proud of!